Creating an awesome looking email campaign that also converts is not difficult if you have the right guidance. 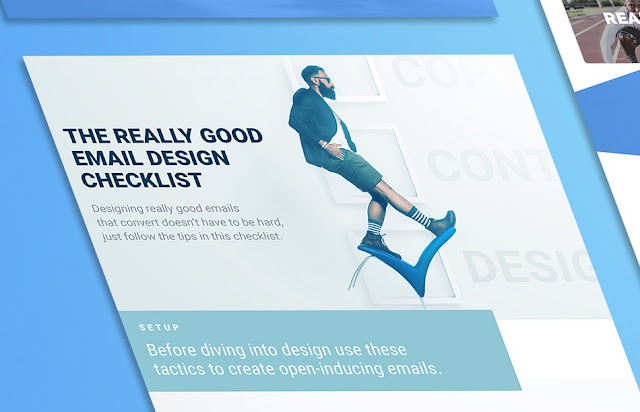 Campaign Monitor and Really Good Emails have teamed up to give marketers a little help in doing just that with this essential email design checklist. This infographic-style checklist contains actionable tips to get every part of an email just right. For example, to help get opens for your email, keep your subject line personal and engaging. Subject lines may not be considered a design feature, but as one of the most important pieces of an email, they’re important to understand. Images should be relevant to your content, interesting, and balancing out the text of your email. This just scratches the surface of the handy information available, there’s heaps more. From the subject line of your email, through the links, content, and fonts all the way to the footer, this checklist will help you make the most impressive and effective email ever. Use The Really Good Email Checklist for each email and create your own really good emails.